If not for the fact that this post is already going to have GIFs, this post would start with nothing but GIFs. (Like this! Or this!) But still, if you’re bouncing off the walls jusssssst a little bit about Matt Kemp right now, no one would blame you. Since Kemp’s final homer of last season also came off of Cain, that’s three homers in a row for our Matt against their Matt. 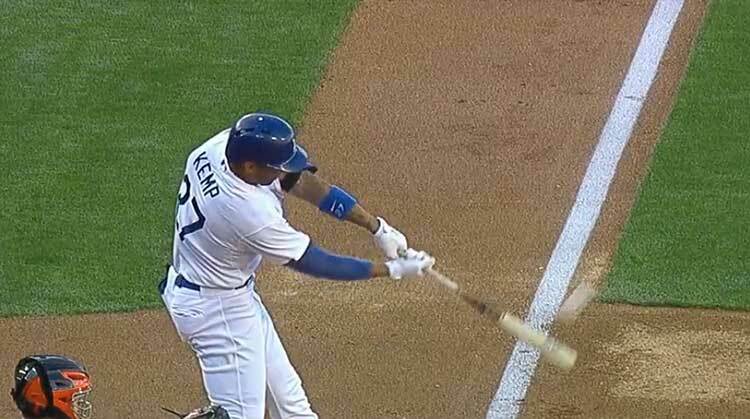 And since Kemp somehow managed to get through the entirety of 2013 without a single homer at home, this was his first homer at Dodger Stadium since he took out Jorge De La Rosa on Sept. 30, 2012. That was his third homer in two days, and we bring that up because tonight was the sixth time in his career that he’s hit multiple homers in a game; the last time was Sept. 29, 2012, when he hit one off Tyler Chatwood and another off Josh Roenicke. But those are just the pure dry facts, and as great as they are, they don’t really capture what this means. I’ll be the first to tell you that placing too much importance on a single game is setting yourself up for failure, but it’s difficult not to look at those clips — and particularly the image leading this post — and not get excited. Somewhat lost in all the focus on Kemp’s destroyed ankle over the winter was that his shoulder was what was causing him so much trouble last year, and even that needed a cleanup procedure. Just look at the homers. Look at the extension. Look at the lack of concern about the shoulder. It’s been a long time since we saw that. Again, let’s see him do it over a few weeks, or stay healthy for a few months. Let’s try to be realistic. But if you wanted to fall asleep tonight dreaming about 2011 vintage Kemp, I wouldn’t blame you. It’s been way too long. All I want to talk about is Kemp, and that’s all you want to talk about too. But we should probably remember that Hanley Ramirez also hit his first two homers of the year, and we should definitely remember that before Kemp went off, this post was absolutely going to be about Zack Greinke, who looked absolutely phenomenal tonight, hitting his spots and ripping through the San Francisco lineup. Greinke struck out six of the first 10 Giants he saw, and eight overall without a walk. In the first five innings, only one Giant even reached second. In the sixth, he ran into trouble by allowing solo homers to Brandon Belt and Hunter Pence, ending his day after he got the third out. But while homers aren’t great, you can really, really make them not hurt as much when they come without anyone on base. 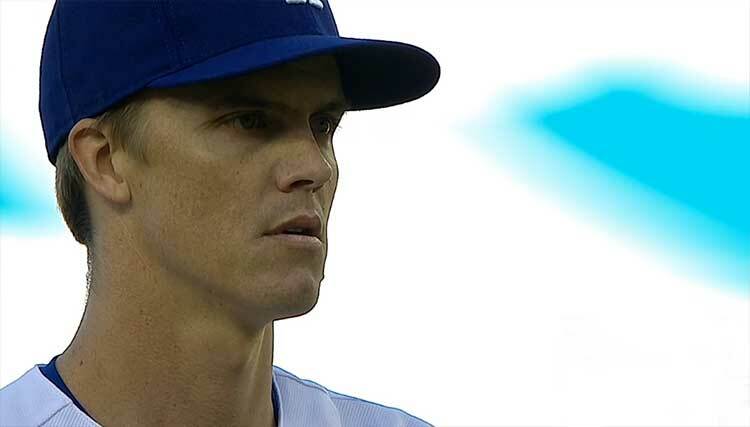 That’s what Greinke managed to do, and he just looked outstanding — pitching in on the offensive side with a fifth-inning double, as well. That was one of three doubles the Dodgers hit tonight, along with one from Ramirez and one from Adrian Gonzalez; the total offensive output was three doubles and four homers. Zero walks, zero singles. Weird, weird night, and I mean that: the Dodgers have never done that before. Actually, just about no one has ever done that before, with the 1923 St. Louis Browns pulling off the 7 XBH / 0 BB / 0 1B trick in an April game against Detroit. And even then, they mixed in triples, so congratulations, you’ve just seen an all-time baseball first in the sense of this specific combination. This is the best sport ever. Chris Withrow then came out for the seventh and struck out Brandon Crawford, Ehire Adrianza, and Gregor Blanco. Withrow has now struck out eight of the 17 hitters he’s faced this year. Really looking forward to the riots when he inevitably ends up back in Triple-A, you guys. After J.P. Howell retired two of the three he faced in the eighth, Chris Perez came and struck out Buster Posey on a steady diet of sliders. Or so I assume. I think I blacked out just watching him jog to the mound. Kenley Jansen then came in to make Pence look silly, allow a Mike Morse single, whiff Brandon Crawford, and blow away pinch-hitter Hector Sanchez. All told, the Dodgers struck out 16 and go into tomorrow’s day off at 5-3, a half-game behind the Giants. But hey, guys: Matt Kemp. Next Mailbag #3: Outfield scenarios, platoon splits, a future manager?